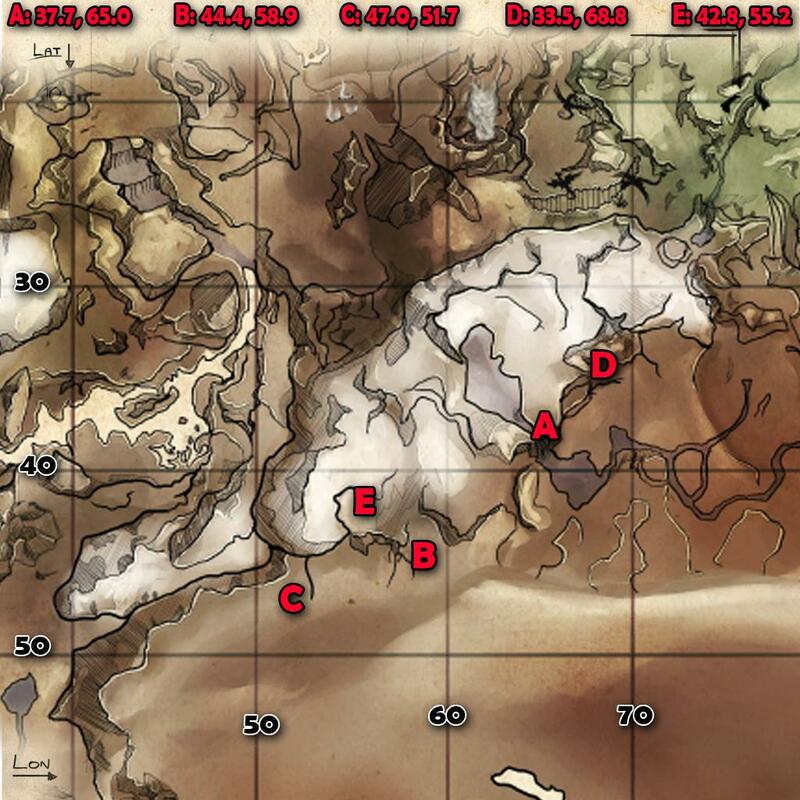 Where to find Ice Wyvern eggs on the Ragnarok map (co-ordinates and map). There are 5 nest sites (that I know of) currently on the map. They are all in really cold snow areas, with zone names like such as "murder snow" and "murdermurder snow" (hold down the H key in game to see the zone name and temperature). You will quickly freeze to death without adequate protection. Get yourself a set of FUR armour - the better the quality the better. You can also greatly boost your resistance to cold by wearing an otter pet. Level up its melee damage stat to increase its hypothermic effects. Where there are Wyvern eggs, there are Wyverns. Your best bet for out-running them is a high stamina Pteranodon or a Griffin. 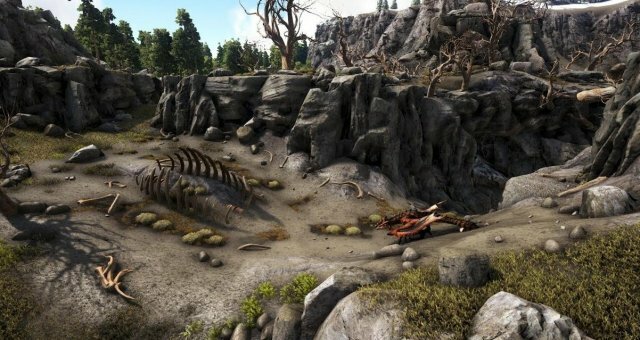 If you do get aggro, lead the Wyvern to some mammoths and it will likely fight them instead. 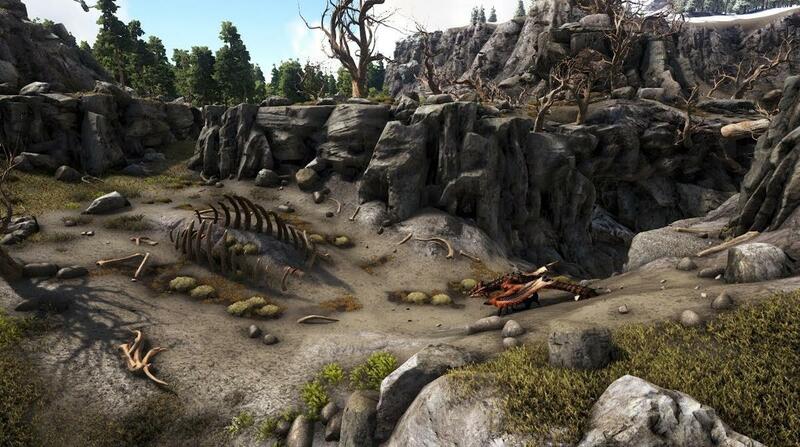 Taking an egg from a nest will aggro any nearby Wyverns (same as stealing eggs from any dino). If you don't find any nests at these locations, it's because there are no Ice Wyverns there. Nests (and eggs) only spawn when an Ice Wyvern is in the vicinity. If you find a decent level Ice Wyvern flying around, killing things, aggro it and pull it back to a nest site - a nest & egg will spawn after a while. Your other option is to kill it - I use this, especially if the Ice Wyvern and eggs are too low level. Often, if you have killed all of the Ice Wyverns, a new one will spawn immediately.